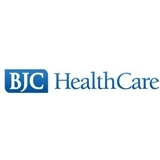 BJC - Family Care @ Christian Hospital (St. Louis) - Book Appointment Online! I can't begin to tell you how amazing it an experience it was visiting Dr. Miller today. It was spot on service and he cared for what I had to say as a patient. He was very kind and worked with my daughter well. His staff was excellent too. It was my first time seeing her and she was very thorough. She put me at ease about my concerns and came of with a plan for treatment. I would highly recommend her.